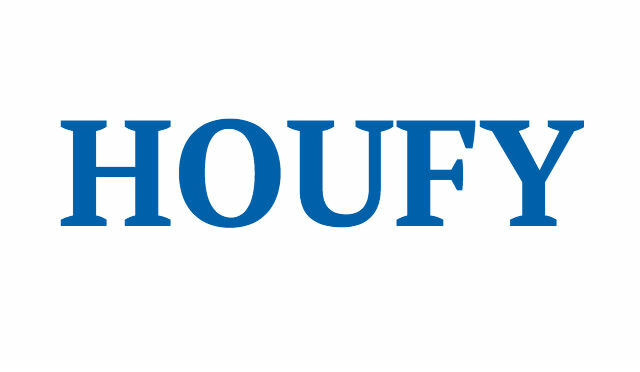 To follow Stefano Boron, please log in to Houfy or create an account. Entering Villa Belfiore you will be surprised by the feeling of luxury, simplicity and elegance that emanates every detail. Our staff will welcome you with a cocktail that will make you feel immediately in the relaxing Caribbean atmosphere. The Villa offers a variety of opportunities to spend an excellent holiday: how to relax in the hammock or in the comfortable sun beds, surrounded by vibrant tropical vegetation; be pampered by the heated pool, with a unique floral design and jacuzzi, from where you can see the golf course, with which the property adjoins; play tennis, or just sleep at any time of the day or night in perfect silence and darkness, because the whole house is equipped with electric blackout blinds. On the ground floor there is a spacious living-dining room with a large sofa in front of a Smart TV 65 "equipped with all Sky channels, Netflix, YouTube, dvd, etc. in addition to the glass table for twelve people equipped with service worthy of a 5 star restaurant. Italian cuisine arouses admiration for its green winding curves, where it will be a pleasure to cook, from the simplest to the most sophisticated meals made by a chef, since it is equipped with semi-professional appliances including, two refrigerators with ice dispenser and Water, steam convection oven, dishwasher, 6 burner stove, coffee maker, blender, microwave, etc. The six rooms of Villa Belfiore, each with king size bed, have independent air conditioning and ceiling fans. Each room includes its own luxurious bathroom, with Italian design furniture, shower and bidet. The master bedroom has a whirlpool tub for two, while the second master bedroom has a simple bath tub plus shower. Three bedrooms are equipped with Smart TV with Sky, Netflix and YouTube. Due to the excellent location of Villa Belfiore you can reach the beautiful beaches of Playa del Carmen or downtown with its charming Fifth Avenue with its restaurants, nightclubs and shops in just 5 minutes by car. Always a 5 minute drive you can reach the most important and famous parks like Xcaret, Xplor, Xenses. Walking, biking or jogging around Playacar, the condominium where the property is located, and enjoying the view of the golf course with its coconut palms, you can reach three small shopping malls where there are places like Starbucks , Ice cream shops, currency exchange, car rental, pharmacy and small supermarkets open 24/7, always having everything you could want or need. Our staff included in the rental, is able to satisfy or guide, the most sophisticated requirements. The "staff" consists of: concierge, cleaning service, the pool manager and the gardener. On request we can book or suggest massages, baby sitter, excursions and the best chefs in the area for a barbecue in the pool or a formal dinner, it is also possible to make the supermarket for you to find it on arrival. Please inform Villa Belfiore of your expected arrival time in advance. You can use the Special Requests box when booking, or contact the property directly using the contact details provided in your confirmation. No smoking at our house. Our place is ideal for children. Located in the secure neighborhood of Club Real. Please inform us in advance please. With prior approval. The Club Real community area is an ideal place for parties. Club Real is a private community within Playacar 2 and has a shared communal area for events and parties; including a shared pool and palapa. I was born in Venice (Italy) and love designer furniture. Playa del Carmen is a wonderful place to live and easy to travel to. All extra children or adults are charged USD 120 per night for extra beds. The maximum number of extra beds in a room is 1. Supplements are not calculated automatically in the total costs and will have to be paid for separately when checking out. Any type of extra bed or child's cot/crib is upon request and needs to be confirmed by the owner. Playa del Carmen is a young city located 45 minutes by bus from Cancun International Airport, in the southeastern state of Quintana Roo. Its main boom started 15 years ago, many people from all around the world established here seeking a healthier natural life. You can say it used to be a "hippy" destination. From being a fishermen little town to the 100,000 inhabitants by now, Playa del Carmen became the third largest city of the state (after Cancun and Chetumal). Guests can enjoy various activities in the area, including snorkeling and windsurfing.